While the paint and rubber were toast, the car was a solid foundation for a clean restoration, with no existing rust or damage from typical daily use. Arya Omidvar, the visionary behind this build, knew exactly what the car needed to be a show-stopper. He stripped the Porsche down and fully restored it with new seals, bushings, lights, and everything imaginable, all from Porsche directly. 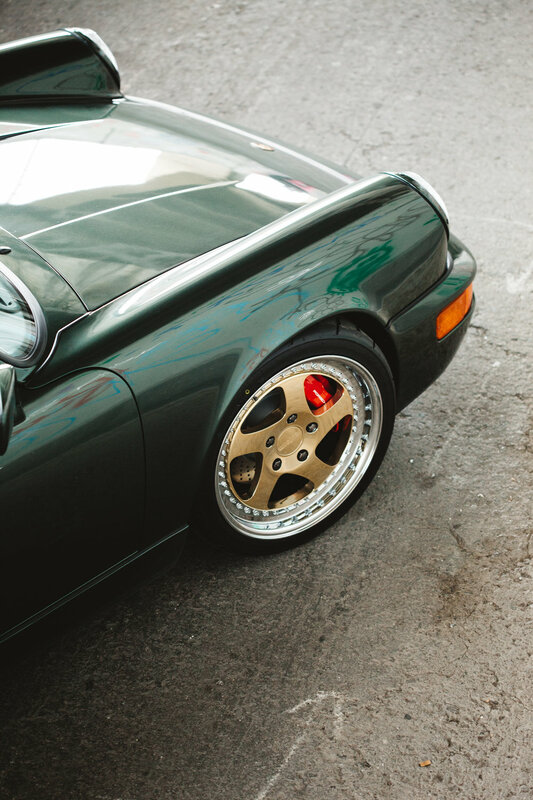 The cherry on top was a fresh coat of the uber-rare Oak Green Metallic - the car's original color. Against the gritty backdrop of a dirty and graffitied tunnel, the pristine condition of the car is apparent. While mostly stock, this "restomod" sports 993 Turbo "Big Red" brakes and aftermarket KW Suspension for more aggressive handling. Rotiform built Arya a custom set of 18" 3 piece wheels just for this car, and while not everyone's cup of tea, they certainly make the car stand out. The interior was left stock, as Porsche got everything right from the factory. Tan leather with a dark green exterior provides a classy, luxurious experience without the "look at me" factor of many of the more commonly seen color combinations. The 964 body style, built between 1989-1994, might just be the last of the "classic" Porsches as far as I'm concerned. 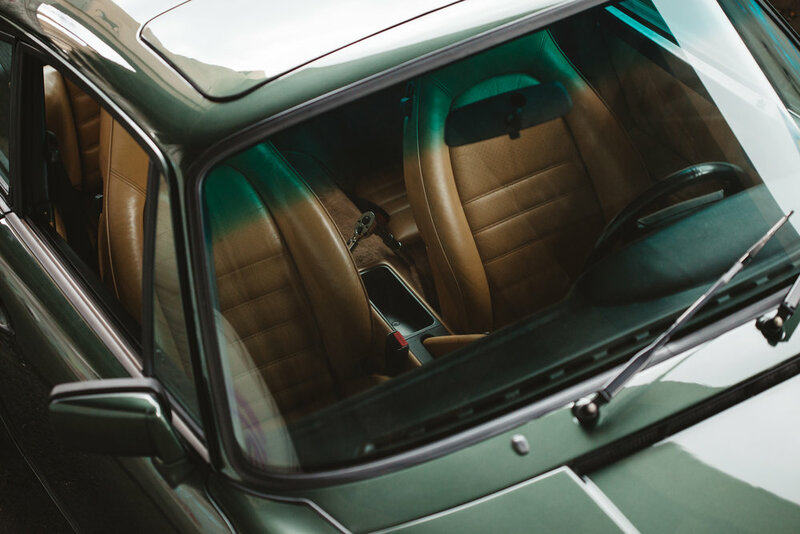 The 911 heritage remains true to this day, but it is especially apparent in both the appearance and driving experience of the 964 - raw, but refined enough for everyday use.